"In 2012, wind energy became the number one source of new U.S. electricity generation capacity for the first time–representing 43 percent of all new electric additions and accounting for $25 billion in U.S. investment," reported the Department of Energy this morning. 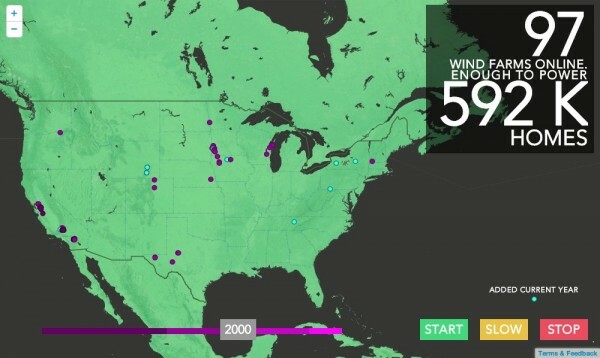 We can now create enough wind energy to power 15 million homes per year, and in nine states, wind power accounts for over 12 percent of the annual electricity consumption. The wind sector is estimated to employ over 80,000 workers, and about 72 percent of wind turbine equipment installed last year was manufactured in the U.S., according to the report. The DoE created an interactive graph demonstrating wind farm growth through the years. 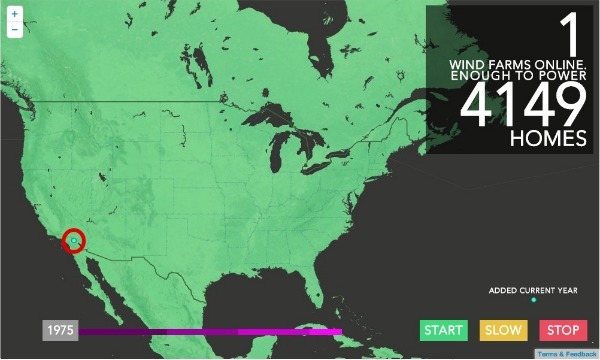 It begins in 1975, when the very first wind turbine was installed in California. Wind power was a West Coast thing until 1994. It finally made it to the East Coast in 1997. 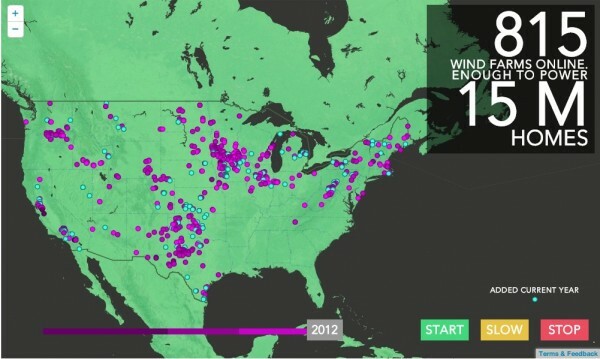 ...and the amount of wind power capacity added to the grid in 2012 nearly doubled that of 2011.